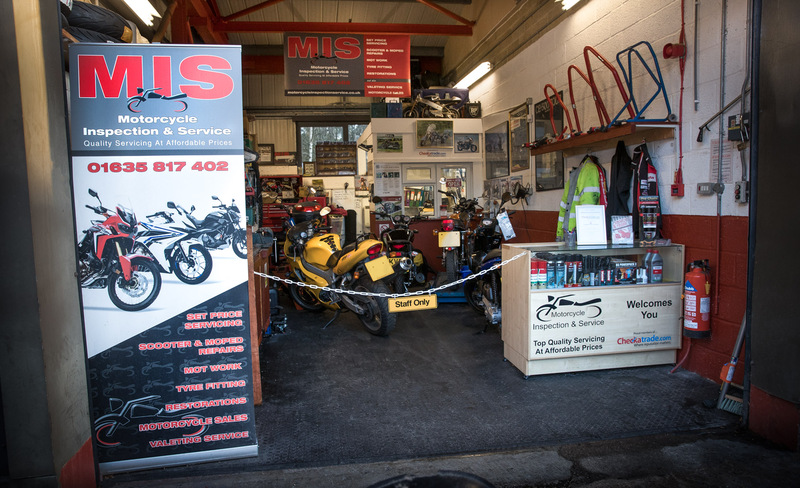 Welcome to the Home page for Motorcycle Inspection and Service Newbury’s finest Motorcycle and Scooter servicing and repair centre, where you get Top Quality Servicing at Affordable Prices. M.I.S. is owned and run solely by Dave Thomas who is able to offer a unique and large range of services which are tailored to suit all motorcyclists’ needs. M.I.S. can deal with all makes and models of motorcycles, scooters, quads & trikes, including all makes of Chinese and imported machines. M.I.S. is friendly and affordable with that personal service approach, where questions are welcome. For a full summary of our services please use the links for further details.